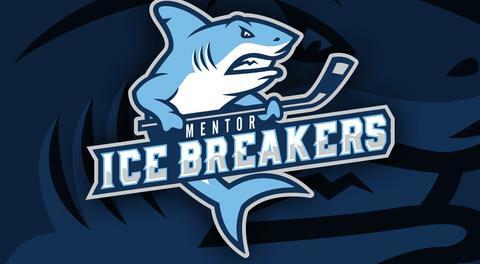 Mentor, OH – Coming off a frustrating home loss to the Watertown Wolves on Thursday night, the Mentor Ice Breakers erupted for double-digit goals for the second time this season in a 10-4 victory over the visiting Port Huron Prowlers, who are preparing for next weekend’s first-round playoff matchup against the Carolina Thunderbirds. Zachary Zulkanycz, who was the Prowlers’ only source of offense for much of the night, opened the scoring at 4:28 before Jon Buttitta tied things up four minutes later. Mark Deazeley, a Toledo Hockey Hall of Famer who was signed to a celebrity contract prior to this weekend’s action, chipped in with an assist for his first point in pro hockey in over 20 years. Joe Swenson gave Mentor its first lead of the game at 11:10 with a beautiful shot over the left shoulder of Port Huron netminder Cody Karpinski. Zullkanycz struck again prior to the end of the opening period to send the two teams to their respective locker rooms deadlocked in a 2-2 tie. Second-period goals from Matt Kadolph, Steven Fowler, and Buttitta made it 5-2 in favor of the Ice Breakers. Fowler’s goal, which came five seconds into a power play, was a one-timer on the backdoor that just snuck through the gap between Karpinski’s leg pad and the post. Fowler scored his second of the contest just 25 seconds into the third period on a backhander after taking a slick pass from Parker Moskal. After Jonathon Juliano tallied his 11th goal on the campaign at 4:26, Kadolph hit the 20-goal mark in his first pro season just over three minutes later. Alex Morrow continued the onslaught by extending the lead to 8-3 on a quick play in front of the Prowlers net, using one hand to stretch out his stick and deflect a pass from Fowler through the five-hole of Chris Paulin, who came in on relief of Karpinski at the beginning of the third frame. Matt Robertson cashed in on a rebound at 13:03 to hit the 100-point mark for the first time in his illustrious FHL career. Robertson became the third player in the league to reach the century mark in scoring this year, joining teammate Dalton Jay (43-62-105) and Watertown Wolves forward Tyler Gjurich (51-55-106). At 17:33, Parker Moskal continued his standout rookie season with a shorthanded goal that saw him snipe a rocket shot over the shoulder of Paulin on the near-side post. Tommy Mahoney capped off the scoring in the game at 18:49 off an assist from Brett Oldaker, giving the Massachusetts native his sixth goal in his last seven games and making the score 10-4. For the Ice Breakers, Buttitta and Fowler both registered 2-2-4 scoring lines while Moskal scored and dished out three assists. Swenson and Mahoney had a goal and two assists each while Kadolph scored twice. Netminder Derek Moser logged his 11th win of the year by stopping 32 of 36 Prowlers shots while Karpinski took the loss after making 30 saves over two periods of work. 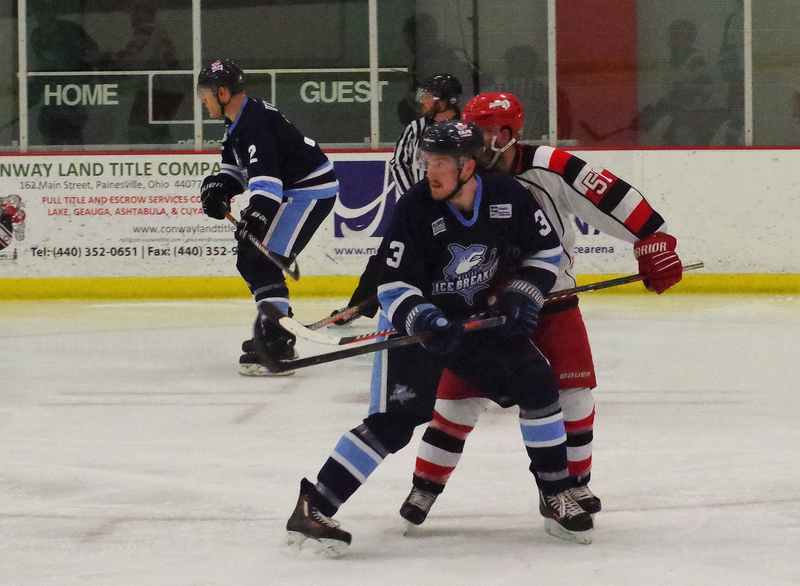 Zulkanycz factored in on three of Port Huron’s four goals with a pair of tallies to go along with a helper. 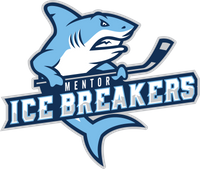 The Ice Breakers and Prowlers both close out their regular season schedules tomorrow. Mentor will play host to the Elmira Enforcers while Port Huron is set to travel to Watertown for a matchup against the Wolves.